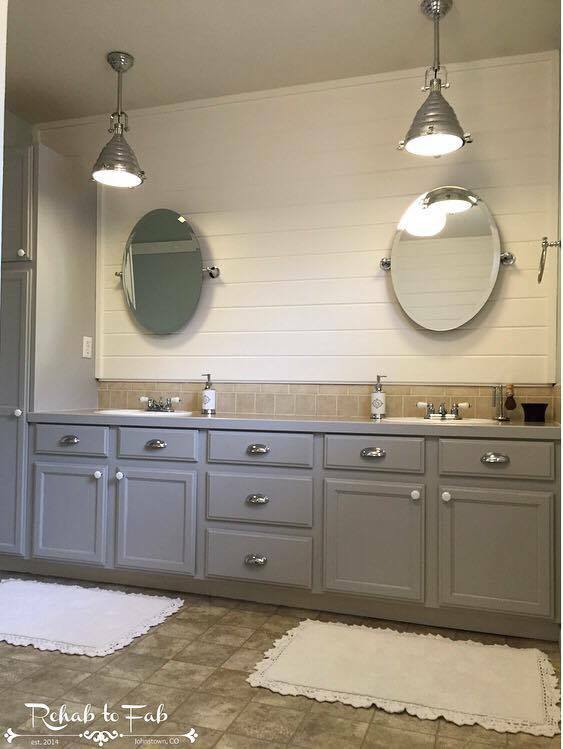 Master Bath Transformation with General Finishes Seagull Gray milk paint. The builder grade oak cabinets are original to the home which was built in 2007. Solid cabinets so there’s no reason to rip them out when I knew I could transform them. Prep is ESSENTIAL to ANY transformation! I removed all the doors, hardware and hinges. I normally use TSP but was out so I used my 2nd favorite cleaner, ‘Greased Lightning’. You name it, it gets it off! I scrubbed them and used a tooth brush in the corners where nearly a decade worth of gunk was in. I rinsed them off with a mixture of D-Natured alcohol and water. Then let them set in the sun for about an hour to dry. I then took my Dewalt sander and sanded back the previous finish. As you can see there’s not much shine left. It really didn’t take that much work to get it to this stage. I then cleaned them off with a damp rag and set in the sun again to dry. 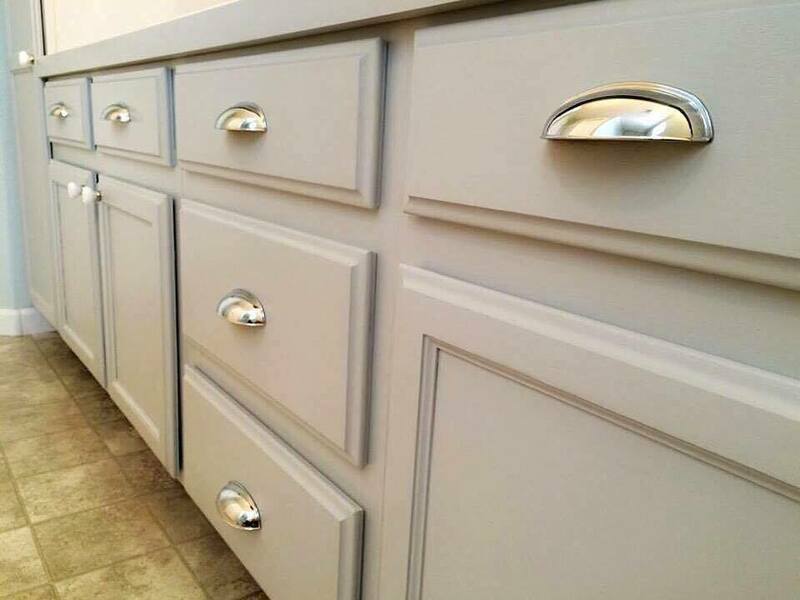 This is where the fun begins, General Finishes Milk paint went on so beautiful. 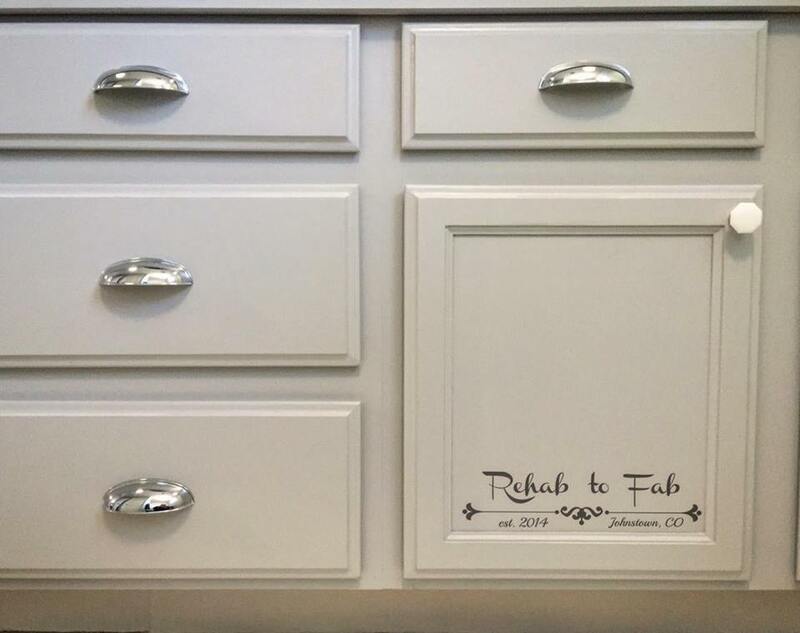 I used a Cling On brush and dipped in water often and painted on the milk paint. The water with the Cling On brush produces the most FLAWLESS finish. It looks like I sprayed them. 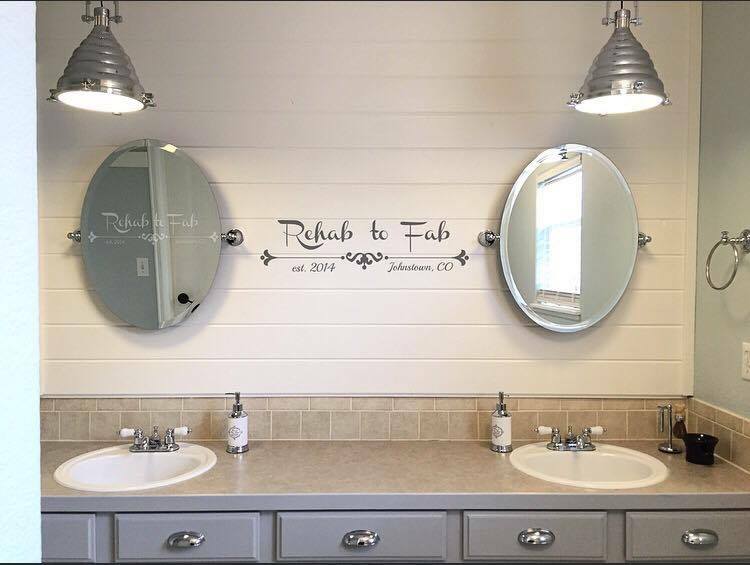 Check out my blog on the rest of the transformation of our master bath. 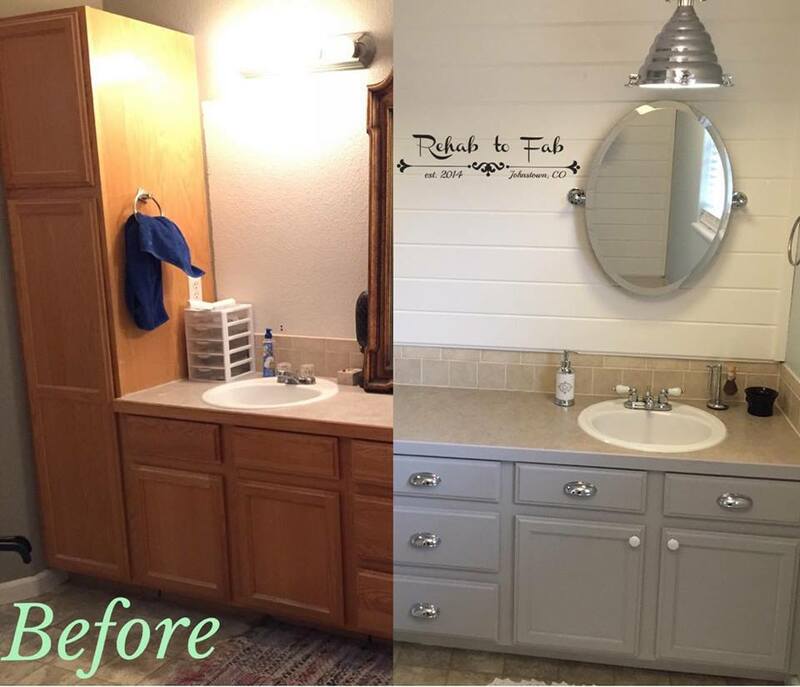 Master Bath Transformation on a dime!